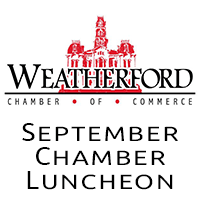 Mark your calendars for the September Chamber Luncheon. Each year the Business Development Committee invites a special guest speaker that motivates, educates or entertains. Come network and enjoy the largest general membership luncheon of the year.